When you think about it, Batman isn’t too dissimilar to coffee. Some folks prefer it black and bitter; others load it up with cream and sugar. If you’re in the former camp and you can’t possibly imagine the concept of a Batman who doesn’t always have his underwear in a bunch (despite wearing them on the outside of his costume), then you might want to stop reading right now. Because that Batman doesn’t exist in Batman: the Brave and the Bold. Instead, we are treated to the Batman who existed between the 1940s and 1970s – the kind of Batman who isn’t always in a bad mood. The kind of Batman who might be seen during daylight hours. The kind of Batman who (gasp!) might actually crack a smile – and if you are the type of comic book reader who enjoys a more lighthearted Batman, and you’re well-versed in your DC Comics history, you just might find yourself cracking a smile or two while watching this show. Borrowing the name and concept from the famous comic book, The Brave and the Bold features Batman teaming up with various other denizens of the DC Universe – most of them obscure or under-utilized characters such as the Challengers of the Unknown, Detective Chimp, Plastic Man or Enemy Ace. The tone is light, with various references to the 1960’s television series including henchmen with their names emblazoned on their shirts and the Penguin making a hasty getaway in the very same submarine he used in the 1966 film. The stories bear a marked similarity to the Silver Age of Comics, when heroes were square-jawed and stern and villains were… a little goofy. Is anyone out there familiar with Kite Man? Clock King? Crazy Quilt? The Shaggy Man? These are the type of villains offered in each half hour episode. But despite the easygoing atmosphere and bright colors, this series doesn’t shy away from solid storytelling and serious action. While there are plenty of laughs to be found in the 12 episodes collected in this 2-disc set, it is by no means a comedy show or the type of simple, spoonfed stories that used to be featured in shows like the Super Friends. Make no mistake, this is a series intended to not only introduce a new generation to the expansive world of DC Comics, but also to provide entertainment (and plenty of in-jokes) for the older crowd. Episodes such as “Aquaman’s Outrageous Adventure” gives us a look at the Sea King on vacation, doing his best to find a villain to punch or a crime to thwart, while “Revenge of the Reach” showcases Batman as a mentor to the young Blue Beetle, encouraging the teen hero to trust in himself and find the inner strength to become the hero he knows he can be. “The Golden Age of Justice” features a reunion of World War II era heroes and deals with death in a serious manner while “Sidekicks Assemble” gives fans a taste of teenage angst when Robin, Aqualad and Speedy decide that if their mentors won’t give them respect, they’ll earn it on their own. And “Chill of the Night” actually has Batman confronting Joe Chill, the man who killed his parents. Throw in weird 1950s style goofiness like “The Super Batman of Planet X” (an obscure storyline recently referenced in a Grant Morrison-penned Batman story) and appearances from characters as varied as Captain Marvel (whose jovial character fits in perfectly on a show like this), OMAC and Jonah Hex, and you’ve got yourself a one-of-a-kind series that, for my money, ranks among the best animated versions of Batman ever. That’s right, EVER. 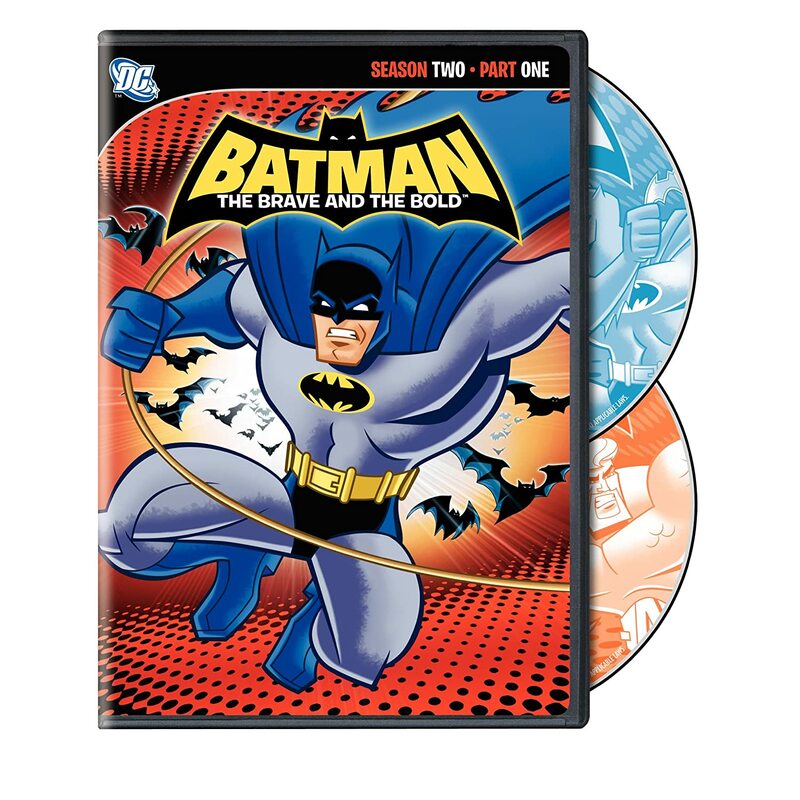 Personally, I’m an enormous fan of Batman: The Brave and the Bold. Having cut my teeth on the Super Friends and edging into the Dark Knight depicted in the Tim Burton films and animated series of the 1990’s, it’s nice to see Batman (and really, superheroes in general) depicted in such an oddball fashion. These are superheroes we’re talking about here – there’s no reason they can’t be fun! Yes, comic book fans have fought for years to see our artform legitimized and we’ve enjoyed the growth and level of maturity that the modern age has brought to superheroes. But with that, we’ve lost a lot of the fun and goofiness that only superheroes can provide. While there might not be a place for a giant typewriter, or a villain who has based his entire career on a King Tut gimmick in the world of modern superhero comics, it does my heart good to know that this cartoon provides such a world on a weekly basis. With a character like Batman, who has seen many different interpretations over the years, every interpretation is just as valid as the others. The smiling, deputized Batman played by Adam West is no less Batman than the brooding vigilante Christian Bale brought to the big screen. This version of the Darknight Detective manages to find a middle ground between seemingly every interpretation. It might be blasphemy to some fans, but once they give it a chance, it’s hard to deny the quality of this show. Packed with great, all-ages stories, fine examples of morality, respect and honor, as well as a plethora of references that only the most learned of superhero scholars could catch (like Robin's Pre-Crisis Earth-Two costume), Batman: the Brave and the Bold ranks among the all-time greats. And with 12 episodes on two discs retailing for $19.95, it’s a steal! Great write-up. I like different types of Batman and really enjoyed the bits I've seen of this show. I need to have the DVR catch them for me.